12189 S. Punkin Vine Rd. 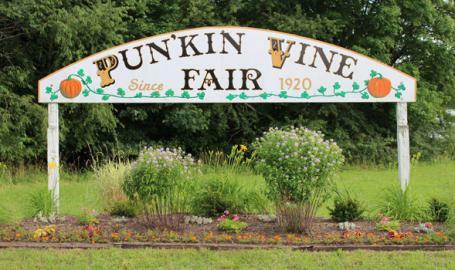 The Pun'kin Vine Fair includes rides, vendors, fine arts, harness racing, demolition derby, live entertainment, kid and adult pedal tractor pull, power wheels derby, truck and tractor pulls, bake auction, pageants, and livestock. The Newton County Fair and Fair Oaks Farms are happy to announce that the Oak Ridge Boys will be performing at the Newton County Pun’kin Vine Fair in Kentland, Indiana, on Saturday, July 20th at 8 pm CST.